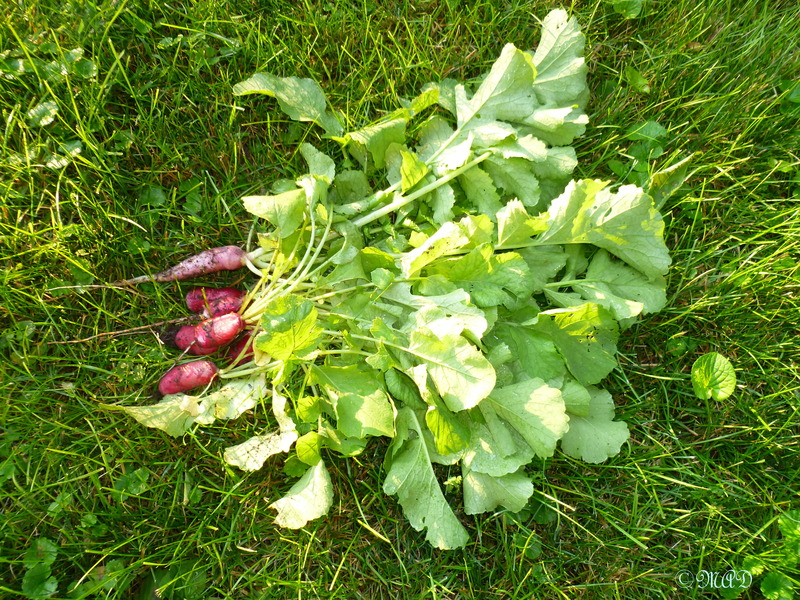 I managed to slip outside before I left for work to pick my first batch of radishes and they didn’t disappoint me! About every 10th radish is a different variety and I guess the seed packet wasn’t a pure mixture, but hey, that’s ok, I like both kinds. The morning was cool and dewy and sunny. This entry was posted in Gardening and tagged heat wave, longest day of the year, nature, radishes, vegetables, veggie garden. Bookmark the permalink.